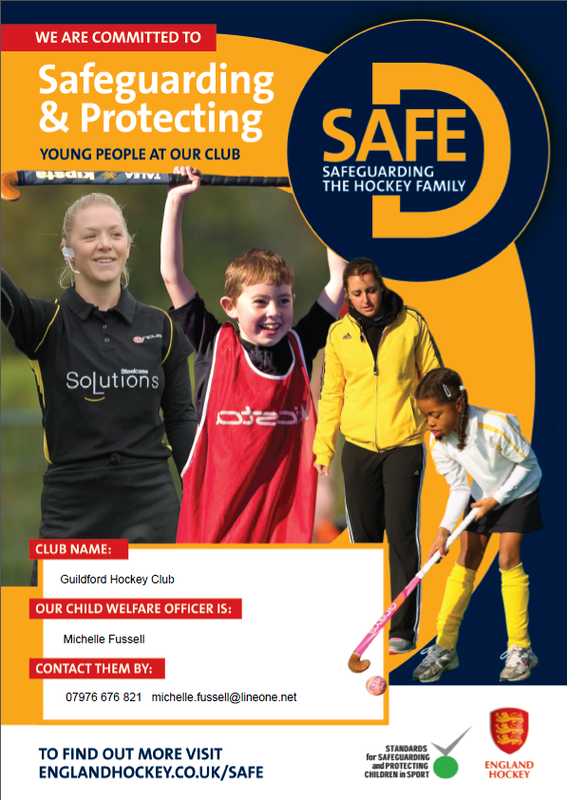 Guildford Hockey Club is committed to creating and maintaining a safe and positive environment for all young people involved in hockey; we embrace and apply the framework and guidelines set by England Hockey to make sure we are using the most up-to-date and appropriate process to look after our Junior Players. All parents, club officers, coaches, and any club volunteer or agent over the age of 18 who has contact with Junior players (under the age of 18) must be familiar with and agree to our policies regarding safeguarding. If you are a coach, assistant coach, team manager, committee or management team member, captain or vice captain of any team or any type of volunteer who has regular contact with anyone under 18 you must get a DBS (Disclosure and Barring Service) check. 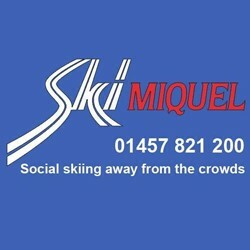 Junior helpers age 16 or above must also be DBS checked. Please note that a DBS is specific to the organisation for which you are having it done - if you have a CRB/DBS from another organisation, you will still need one for Guildford Hockey Club. This is a characteristic of the DBS system, not Guildford Hockey Club. The first step is to email with your name as shown in your ID. Michelle creates an online application with the online ‘TMG CRB’ service using your full name and email address (you cannot do this yourself, it has to go through our TMG CRB administrator for GHC, Michelle). You will receive an email from TMG CRB with a link to your online application form. Click on the link, fill in the form and submit it to TMG. Michelle is notified by the system that the application has been activated and will let you know. You need to see Michelle in person within 28 days of the application being activated in order for her to verify the ID document that was used in filling the online form and to make a payment of £5 using a credit or debit card. The payment can be reclaimed from the club if desired; ­ a card must be used for payment (this is part of the TMG CRB process, not something the club imposes). You will receive a paper copy of the DBS in the post. You then need to let Michelle know the number in the top right hand corner of the DBS paper statement. It looks like a long process, but it is essentially one email to Michelle, 5 minutes online to submit the application, verification with Michelle and then telling her the number once the certificate comes in the post. England Hockey Online Safeguarding and Protecting Young People in Hockey Course is specifically aimed at coaches, umpires, team captains and volunteers who are working with or responsible for persons under 18 within hockey. What does the course involved? Why should my club/organisation be interested in safeguarding? It is essential that all people that work with under 18s in hockey receive training that is appropriate to their role. Having suitably trained people within your club/organisation provides a better experience for young people, on and off the pitch and also protects coaches, umpires and all who volunteer. England Hockey strongly advise the following Club roles take the course: all Level 1 Coaches, Development Coordinators, Club Chairperson, Umpires and other CRB/DBS roles e.g. junior coordinators, assistant coaches, squad managers, etc. England Hockey launched a revised programme called SafeD in Winter 2015 which offers user-friendly support across a range of subjects. It is designed to provide the Hockey Family with expert advice on how to create an environment that is young-people focused while minimising risk and maximising enjoyment for all involved.